The competition is open to a wide range of early-career staff, post-docs, and postgraduate students. In previous years, several University of Reading researchers and graduate students have presented posters at the event at Parliament, and found great benefits from doing so. 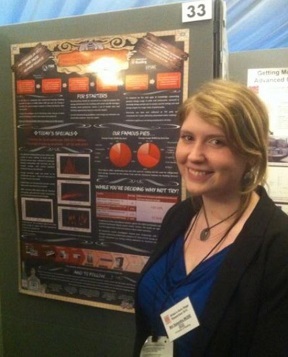 One such winner, Samantha Mudie, an Engineering Doctoral student, presented a poster on her research into the reduction of energy from commercial catering, at what was then known as ‘SET for Britain’ in 2013.